You are here: ladder-guy.com > Blog > Tips > Decorating Your Home With Ladders! Decorating Your Home With Ladders! You know the old saying, “Someone’s trash is someone else’s treasure”? 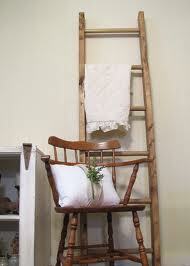 You can score old distressed wood ladders at yard sales or thrift stores to add a shabby chic look to your home. Here are some fun and easy ideas to put your old piece into a showpiece. 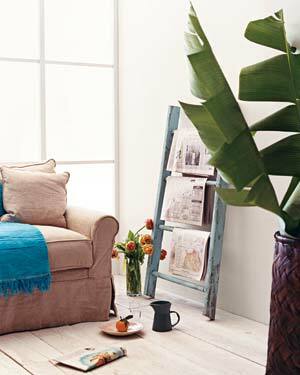 Create that library feel at home by draping newspaper articles on a colored ladder against the wall. Display your favorite hand towels on a ladder instead of installing a metal rack. It’s quick and easy. No need for tools! 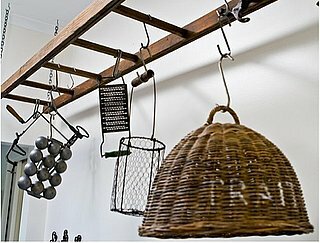 Hang a ladder from the ceiling and add S hooks to display your favorite cookware. A girl can never have too many shoes! Show off your collection by hanging them on a wooden ladder. A shorter ladder such as a stepladder works best. It’s the perfect height to place a lamp. Short on closet place but not on accessories? 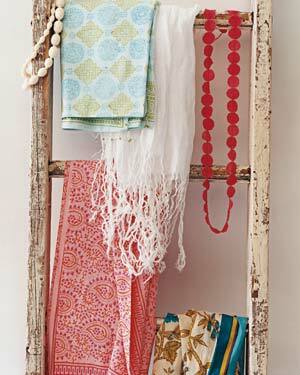 Adding scarves and necklaces to a ladder not only solves your storage problem, but it adds color to your room. 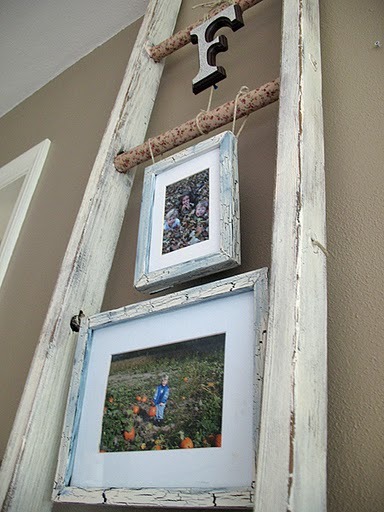 Hang your favorite pictures, artwork, or objects on the rungs of a leaner ladder. 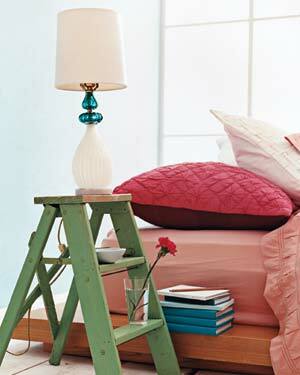 There are many other ways to make use of old ladders, so get creative! This entry was posted in Tips and tagged distressed wood ladders, redecorating with ladders, uses for old ladders. Bookmark the permalink.